The BJP Saturday termed AAP's announcement of candidates for six out of seven Lok Sabha seats in Delhi a "pressure tactic" adopted by the national capital's ruling party to "force" the Congress to firm up an alliance with it for the upcoming general elections. 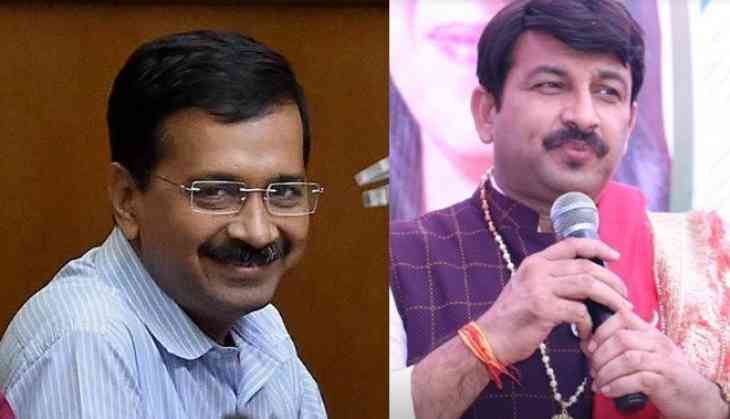 Delhi BJP chief Manoj Tiwari asserted that his party will retain all the seven parliamentary seats in the city it won in 2014 Lok Sabha elections, no matter whether the Aam Aadmi Party (AAP) contests the upcoming polls alone or by entering into an alliance with the Congress. Ending months of speculation regarding an alliance with the Congress for the upcoming general elections, the AAP on Saturday declared its candidates for Lok Sabha six seats in Delhi and accused the grand old party of turning down its proposal for a tie-up. While announcing the names of party candidates in the six seats, Delhi AAP convener Gopal Rai, however, hinted that a window was still open for forging an alliance as the party believed that there should be single opposition candidate against the BJP in every seat for the upcoming polls. "Announcement of six Lok Sabha candidates by the AAP today is clearly a pressure tactics of Arvind Kejriwal to force the Congress for entering into an alliance for the upcoming elections. They (AAP) know they do not stand a chance in the elections due to their failures in Delhi," Mr Tiwari said. The BJP is confident that the Narendra Modi government's achievements and it's welfare measures covering all sections of the society will ensure the party's victory in Lok Sabha polls, he said. "From a housewife to the soldiers safeguarding our borders, the Modi government has taken care of all. We do not worry whether the AAP and the Congress fight elections together or independently, we will win again to make Modi prime minister for another five years." Senior BJP leader and co-incharge of the party''s Delhi unit for the Lok Sabha elections Jaibhan Singh Pawaiya claimed that AAP has declared its candidates to mislead the people. An AAP leader from Bawana, Chaudhary Narayan Singh, and his supporters joined the BJP on Saturday in presence of Pawaiya and other party leaders at the saffron party''s Delhi unit office. On the occasion, he claimed the people of Delhi will remove the AAP from power in the 2020 Assembly elections.